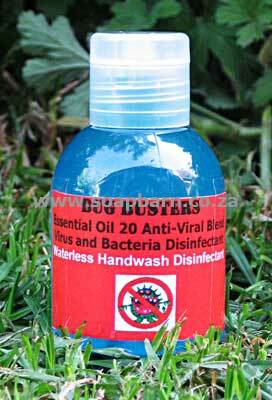 REQUIREMENTS: 500ml Waterless handwash, 5ml Anti-viral 20 blend essential oil, Blue liquid colouring, 3 100ml Pump bottles, 4 50ml Flip lid bottles. METHOD: Mix the 5ml essential oil into the 500ml waterless handwash. Add a drop or two of blue colour if you like. Mix well. Decant into your pump bottles and into a 50ml flip lid bottle you can keep in your bag. 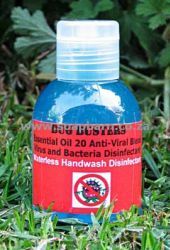 Use to sanitize your hands.